nPlayeris a mobile video app from Seoul-based developer Newin, Inc. nPlayer for iOS does the hard-work of sorting out codecs and formats so you can just enjoy watching movies and videos on your device without the hassle of file conversion. 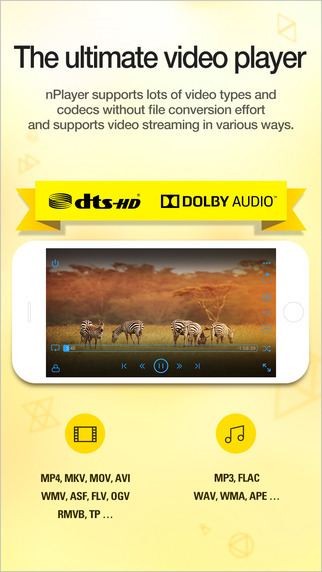 With more support for both audio and video codecs than you can imagine, nPlayer is the only app you should need to watch anything on-the-go. All of your standard video files are supported, including MP4, MOV, AVI, WMV and other rarer files and audio-wise expect full support for MP3, WAV, WMA, FLAC and APE. All commonly used subtitle, image and playlist files are also fully supported. In addition to standard audio/video support, nPlayer is enabled to run Chromecast, video cast for Smart TV and also supports HDMI output. 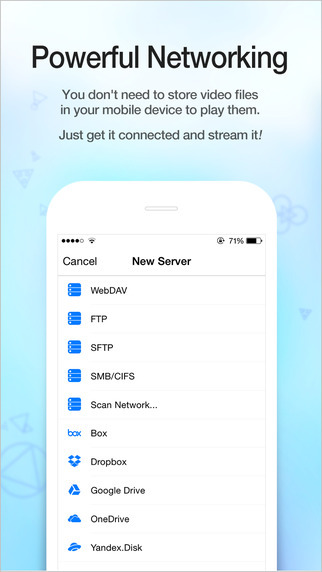 There is built-in support for web streaming services and cloud-based services as well as Toshiba wireless storage. 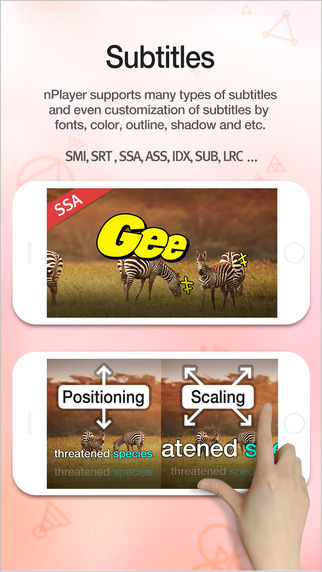 The interface is simple to use and you utilise standard touch controls to adjust everything from brightness, saturation and contrast to volume to aspect ratio, subtitle size and position. You can also organise your files and arrange items by size or file-type with a few simple taps. There are tabs to access files stored on your device in iTunes (music and video), as well as across the web-based servers (Dropbox etc) mentioned above. Streaming content is a big part of nPlayer’s appeal and you don’t need to download a file in order to start watching it. 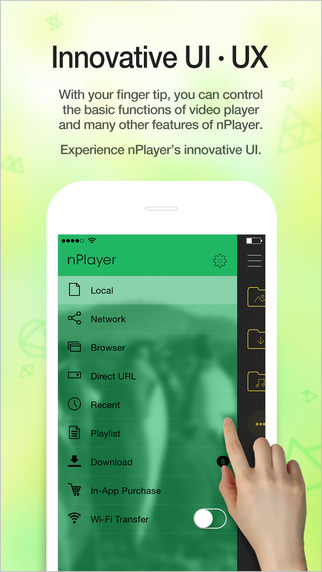 nPlayer features a browser as well, so you can search for videos directly through the application. Overall, at $13.99 nPlayer is not cheap but is a very solid media player for iOS that goes beyond simple playback and has a ton of extra features to ensure that it’s the only app you need to watch all of your content. nPlayer requires iOS 7.0 or later. Compatible with iPhone, iPad, and iPod touch.